HCL, Emicon, Arnav info soft, Eminence etc. JBIT, GIMS, GNPEC,Bipin tripathi Kuman Institute of technology etc. What is the fee-structure in private institutes after clearing the uksee paper. If there is no discount in private institutions then why UTU conduct uksee paper?? 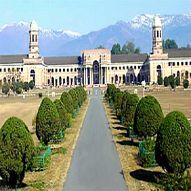 I want to know the admission process for b.arch at UTU dehradun and also the fees structure? I study in kapur residents inuttarakhand is domicile inup or uk? want to know about admission procedure and course fee structure for BCA? Write Your Reviews on "Uttarakhand Technical University"
Are you Interested inUttarakhand Technical University"? Please provide the following details. Ask Question on "Uttarakhand Technical University"?